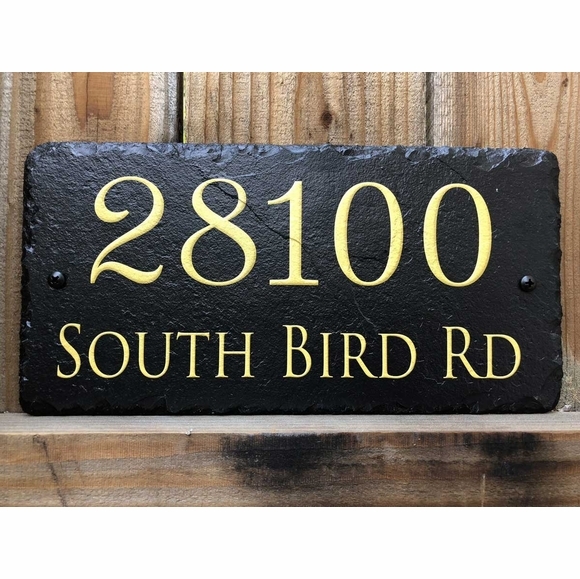 Slate Address Sign with Giant Gold Numbers - - that almost fill the plaque. Made in USA. Holds street name up to thirty (30) characters. House number in large image: 28100 SOUTH BIRD RD.